Discover faith anew through the perspectives of 20 biblical women, from Rahab to Ruth, from Hannah to Huldah, as well as unnamed women encountered in Jesus' ministry. 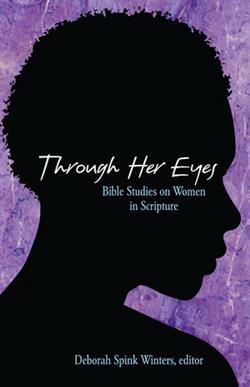 This collection of Bible studies features a diverse array of contributor voices, male and female, across generations. Great for small-group use or personal study, every session includes a "hook question" to begin and several reflection questions to conclude. • A fresh and contemporary viewpoint from multicultural and multidenominational writers. • Personal and moving stories of faith, love, and hope. • Chapters offer hook question to begin as well as questions for discussion and reflection. Deborah Winters, MDiv, PhD, is ordained in the United Church of Christ and has served in settled and transitional pastorates. She serves on faculty at Palmer Theological Seminary of Eastern University and with www.Coaching4Clergy.com. She has contributed material to Who Killed Goliath? (Judson, 2001), The Pastor's Bible Study, Vol. 3 (2006), and the Minister's Annual Manual (since 2008).